Helianthemum Wisley Pink and the other European rockrose relatives make a brilliant spot in the garden each the Spring and often again in the Fall. Each pastel pink flower is only an inch across and may only last a day or two but the plants produce so many of them that the plants are covered in blooms for several months. 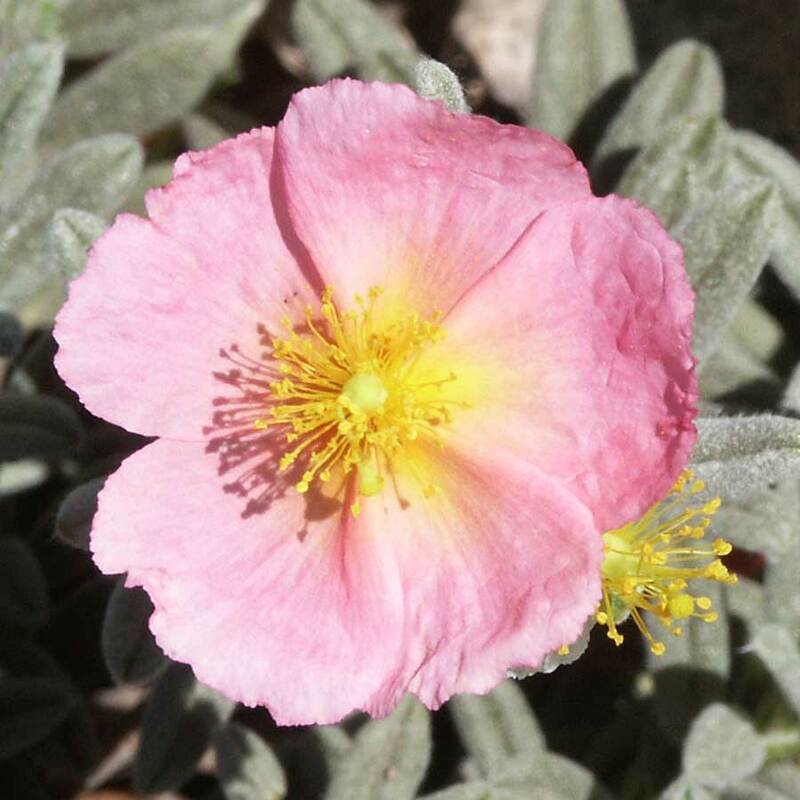 The gray varieties of the Sunrose group including Helianthemum Wisley Pink, grows best in full sun. This is not the plant to put by the faucet where it might get stepped on but put in a sunny quiet part of the garden Helianthemum Wislep Pink will put on a wondrous show. I have not yet seen these Sunroses damaged due to cold weather and have watched them weather temperatures into the mid teens. Flowers and foliage of Helianthemum Wisley Pink - Pink Sunrose. High resolution photos are part of our garden image collection.